My apple trees are back in stock! 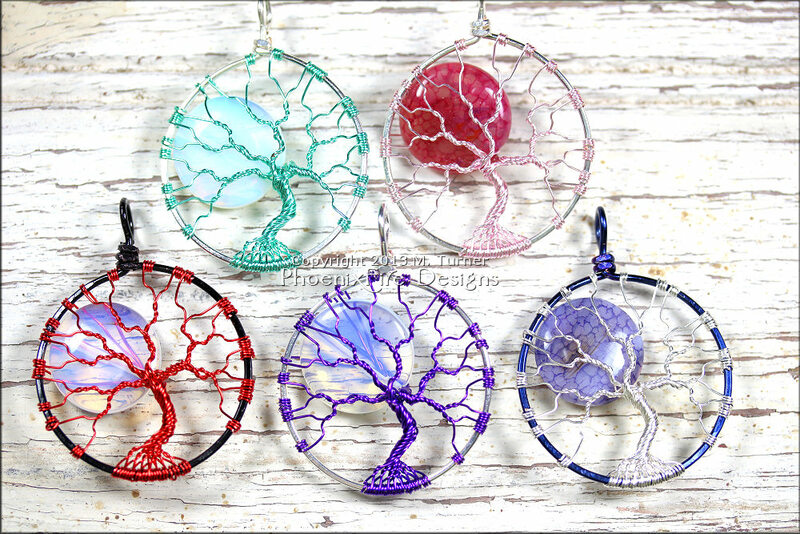 Available in non tarnish silver or brown, these adorable tree of life wire wrapped pendants have peridot leaves and ruby red jade apples. Too cute! No forbidden fruit here! 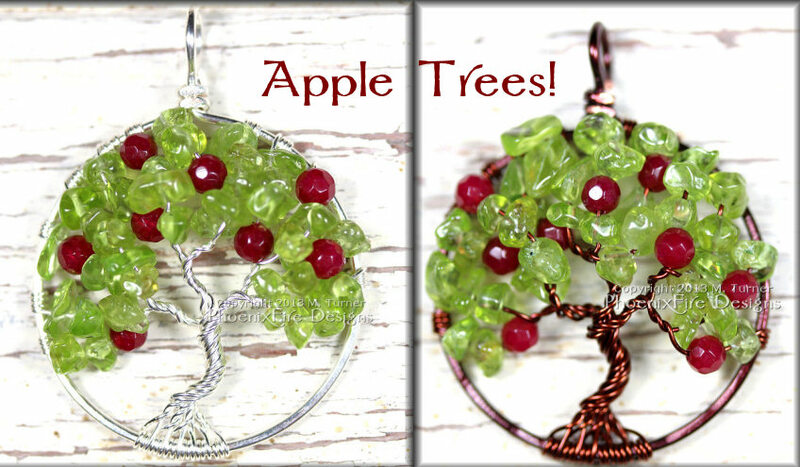 This adorable Apple Tree Pendant features genuine Peridot Gemstone leaves with faceted ruby red jade round apples set in sterling silver plated wire. The leaves are made from genuine Peridot gemstone. Peridot is a natural, semi-precious gemstone in the most amazing green color. The birthstone of August, it has been considered sacred and a symbol of purity for thousands of years. It was considered a stone of Springtime and a gift of Mother Nature by the Ancients. 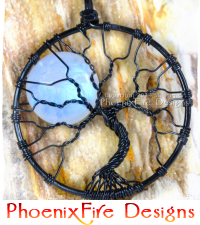 It is a stone of lightness and beauty and is said to enhance wellness in the spiritually aware. Peridot does have natural, minor inclusions but this is just part of the character of the stone. The apples are made from 4mm faceted jade beads. This is known as “candy jade” and is dyed to achieve uniform, deep, rich color. It makes perfect apples and the color really pops with the bright, Spring green of the Peridot. Inspired by Fantasy and Sci Fi, each piece in the LE Summer Collection is whimsical and has bright, bold colors. Not limited by reality, these pieces are fun and unique! From Vampires, to Faeries to Mermaids and more, this collection is whimsical with it’s vivid color combinations and dream-like design. Available for purchase here in the shop!